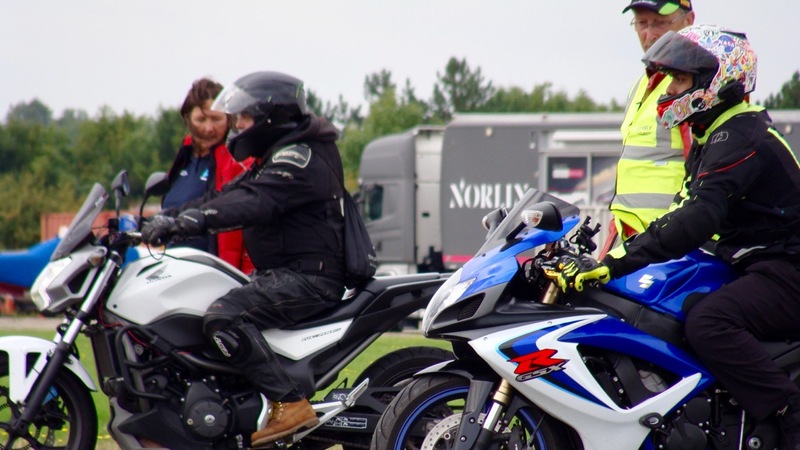 ELAM has an excellent record of helping its members develop their advanced riding skills. More than 8 out of 10 of those who take their IAM RoadSmart test with ELAM pass first time. 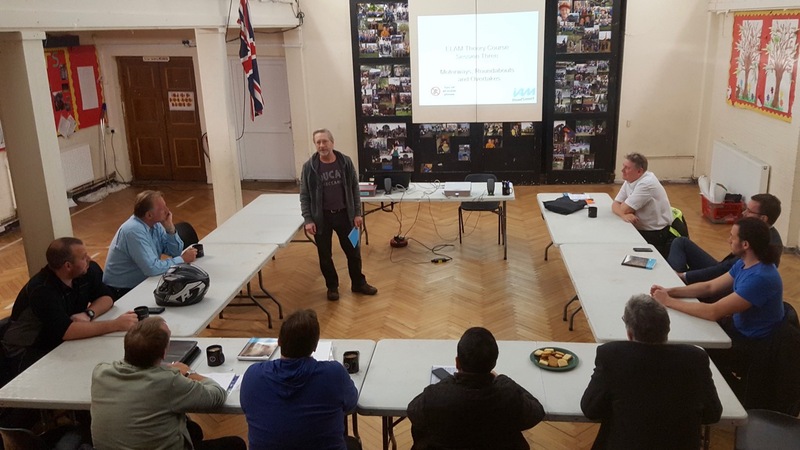 More importantly, riders who have attended an ELAM structured training course report that the coaching received has benefited their riding in many ways to make them feel safer and more confident. 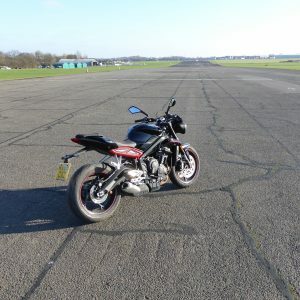 A machine control day at North Weald airfield to practice slow speed, counter steer etc. 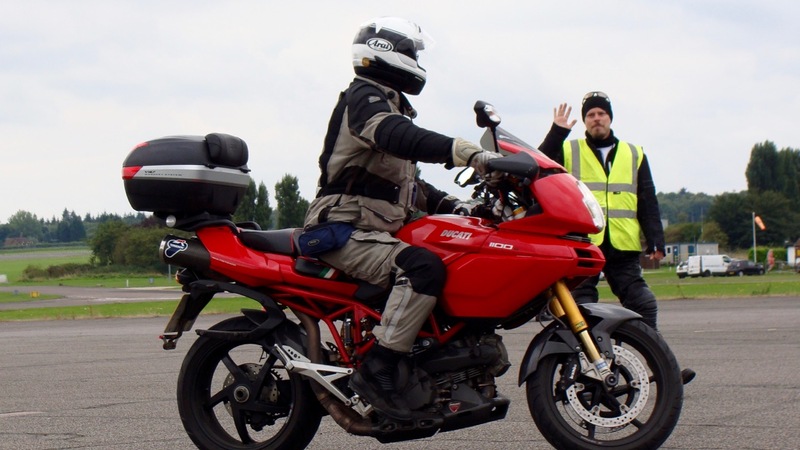 This combination of theory and practical riding sessions, starts with the basics of advanced riding and builds up your skills steadily. 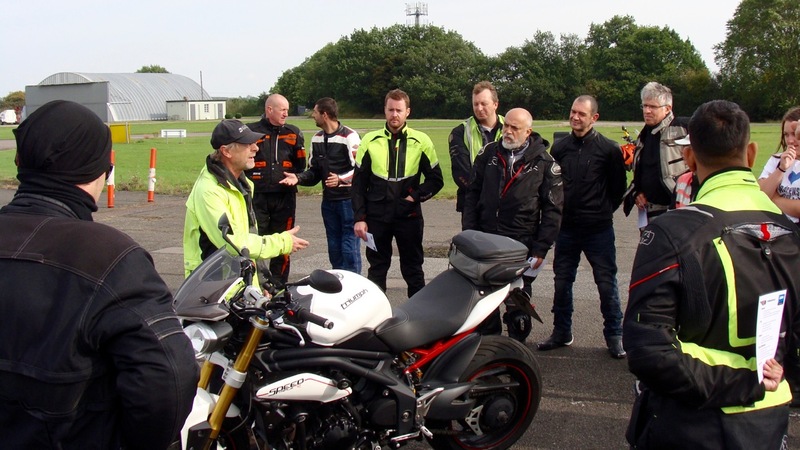 Our experienced team of Observers (all unpaid volunteers) will help you understand your riding strengths and weaknesses to progress until you reach that magical IAM RoadSmart test standard, and beyond. Each session focuses on a specific aspect of advanced riding. This allows you to explore that part of your riding in detail and then practice the skills you have learned. 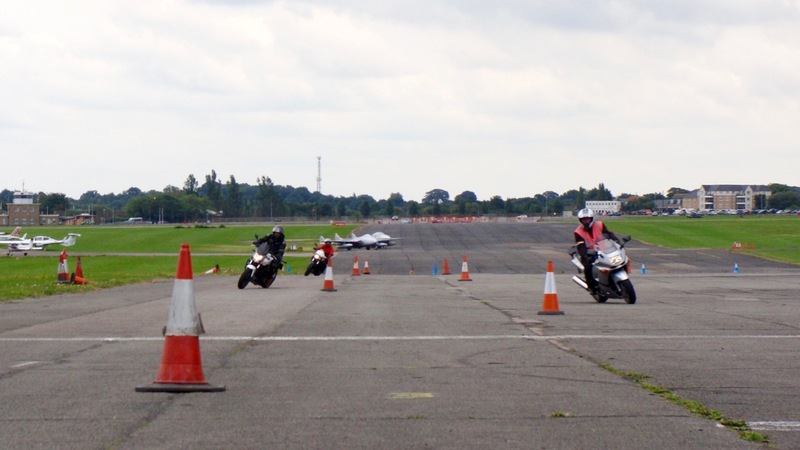 As each session builds upon the previous one, so your advanced riding skills grow and develop. 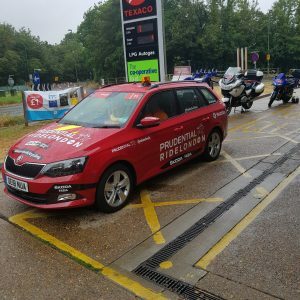 Although we can take riders who have only just passed their DSA test, our approach is most effective with riders who have had a minimum of 6 months riding experience with a full licence.